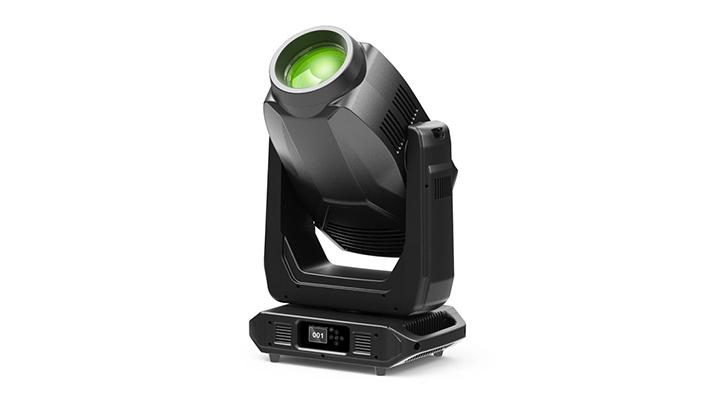 The Philips Vari-Lite VLZ Spot is a dedicated spot luminaire utilizing the latest high output white LED sources to produce a staggering 25,000 lumens projected from a 180mm (7”) front lens.The familiar CMY-CTO color system creates stunning, seamless mixed colors. The dual fixed color wheel with linear control gives access to Vari-Lite colors and split color combinations. Color shake and color wheel spin control have also been added to the mix. Hard to soft edge focusing is attained via the 16-bit focus control channel, and focus zoom tracking can be selected remotely via a console. The beam softness can be adjusted via the 3 way frost control.